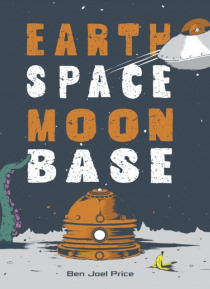 Outer space, a moon base, and . . . bananas? Discover Ben Joel Price's quirky extraterrestrial world and its unusual trio of guardians. A spaceman, a robot, and a cheeky monkey use a most unusual method to protect Earth from hungry, googly-eyed moon aliens. Ben Joel Price's offbeat rhymes and colorful, retro-style illustrations evoke a funny little world away from ours, which will captivate reade… rs young and old.